I just finished reading the novel George, about a fourth-grade trans girl, Melissa, who is thought to be a boy by her family and friends, but who is trying to figure out a way to tell people who she is. Much like last month's selection, Beautiful Music for Ugly Children, our main character in George isn't struggling with figuring out who they are, but how to communicate who they are to people whose reactions will have a deep impact on how our main character moves through the world. As for narrative and writing, George is a pretty ordinary story, and in the genre of Rite-of-Passage books. Outsider character not understood by those around her but with the additional complications caused by communities who don't easily identify with, or (try to) understand, the character's experience. This is the second book of the Queerest Book Club Ever, a YA book club, that meets at Tacoma's King's Books. 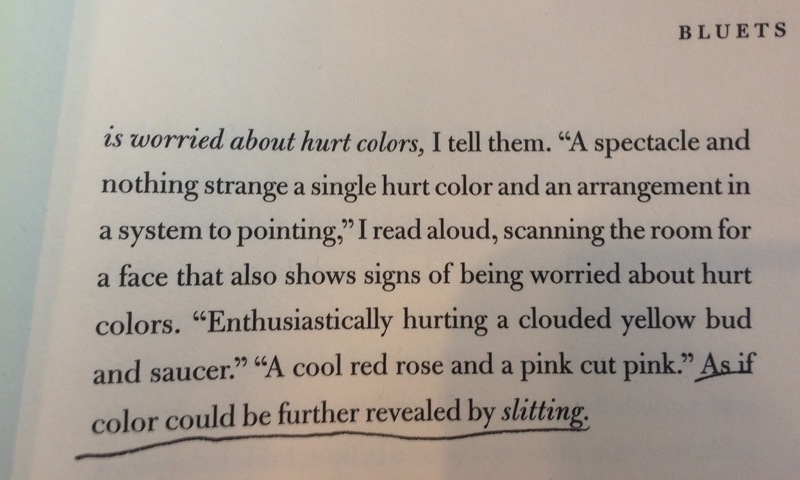 I follow it from afar, and am glad to read books about LGBTQ+ characters--characters who never appeared even as minor characters in the books I read growing up, much less studied in my children's literature courses (because, for the most part, they didn't exist--the books, of course, not the people). If you're in or near Tacoma, the meeting to discuss George is February 12th at 7 PM. As a kid, I would carry a small, pink radio/cassette player around town, to the diner, throughout the house--listening to 102.7 WPFR, which was the best radio station broadcasting out of Terre Haute, IN and that reached my ears in Casey, IL. Eventually that station disappeared, and sometimes I listened to the local station, 104.3 FM, WCBH, and once or maybe twice, I volunteered there, ran the recording of Casey Kasem's Countdown, and learned more about how the radio worked. Casey also had an AM station, WKZI, but I only listened to that once a year, when they held auctions on the radio and you could telephone in and bid. We won a large teddy bear one year, a carwash package another year. Flowers, maybe? My joy wasn't so much the object but the act of bidding, and hearing that we'd been the highest bidder--on the radio! In sum, I've always been a bit of a radio lover. Every week, Spokane community members Neal and Heather host a show, So There I Was, on KYRS Radio (88.1 FM/92.3 FM). The show covers local artists, musicians, actors, and everyone in between who is involved in events and projects around Spokane. The show's goal is to create a "portrait of Spokane, one story at a time." 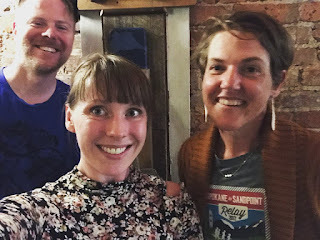 I was lucky enough to meet Neal and Heather for the first time when we talked about The Whole World at Once, back in April of 2017, just before the book was released. Then I came back in August to report on how the tour went. They let me return in October to share urban legends for Halloween. 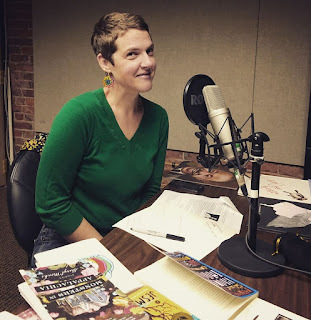 Then, in December, I visited again, this time to talk about the Fuse Spokane Book Club, Book Your Stocking, and the books I've been reading. Since I love the radio, and this show, I'll be back next week on So There I Was for a discussion on books, groundhogs, and valentines--and maybe a bit of love in there. First loves? Fifth loves? No loves, sure. Those, too. Victorian paper valentines with chubby cupid cherubs? I'll try to sneak a word in there about those, too. I very much enjoy talking with Heather and Neal. They're kind, witty, and let conversations wind into interesting stories. Probably I should just invite them to dinner, but this is the best way to find them now. I hope you enjoy So There I Was as much as I do, or at least nearly as much, because I have deep feelings about the show. Follow So There I Was on Facebook: here. I spent last night reading dôNrm’-lä-püsl, the last poetry manuscript by kari edwards, edited by Tina Žigon, and published posthumously by eth press (2017). It’s the first work by kari edwards that I’ve read and, now, certainly not the last. This book is an examination/resuscitation of Joan of Arc, through her own and imagined voice and her experienced voices. I’m wholly fascinated by the work. From its explorations/compressions of time, setting, language (thus, meaning; thus, now-ness). To the vivid, sudden imagery. Not to mention the turns of voice and directions of perspective. And humor, often the humor of frustration at the carnival created by bureaucractic-clinging to arbitrary definitions of what is, as Joan is being questioned about the authenticity of the voices when she has the more pressing matter of trying to save the world. I’m so glad that Tina Žigon found the manuscript in the SUNY Buffalo archives and brought its flickerings to light. And the book begins with a useful essay by Žigon that frames the manuscript, from edwards’ interest in Joan of Arc to Žigon’s process in working with the manuscript. I must reread dôNrm’-lä-püsl many more times and will be glad to do so. One of the best aspects of poetry is that it expects your return, and has prepared for it. 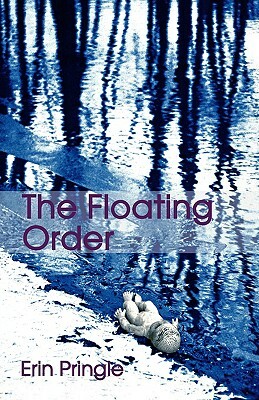 While edwards did not envision this work being published in this way, she was certainly preparing for, and creating, a return to return to return such that a returning would no longer be necessary and language could expand. 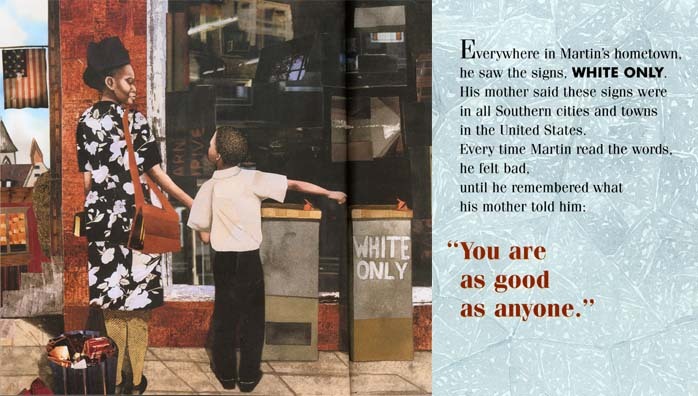 Martin's Big Words is an excellent book, from the narrative that moves from Martin as a child through adulthood, to the inclusion of Martin's actual words on each page, to the beautiful illustrations. Its focus age is likely elementary school, ages 7-10, but I shared this with children ages 2-6, and we all enjoyed the book and the satellite conversations it led to. 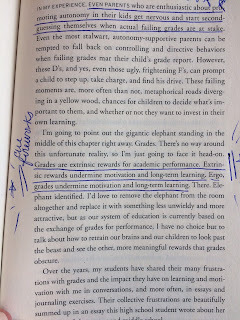 The children who have learned to read had little trouble reading along when asked. We spent over an hour reading the book, talking, sharing questions and thoughts, and we made it only halfway through the book. 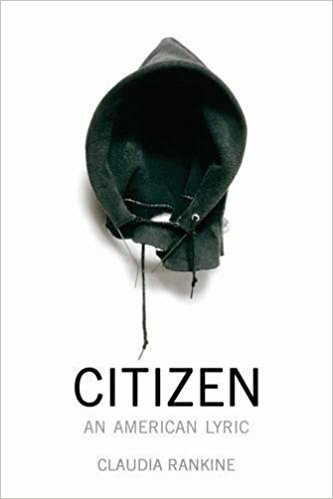 In sum, it's a wonderful book that, in spite of the ugliness, cruelty, and horror of the past and present, provides a way of learning about it that does not ignore these facts but helps create a dialogue with our children, ourselves, and history that is sometimes difficult to begin since language will suddenly fail us. If your (grand)children's home, school, or community library does not yet have this book, please take the steps to rectify the situation--especially if you live in a place that is majority white. 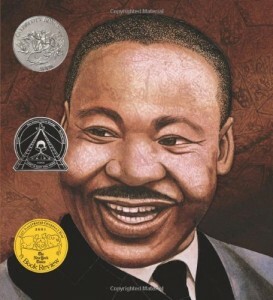 I do not have a single memory of books about, or by, MLK in my childhood home or the public library. And now, in reflecting on this, I feel cheated by that, not just in the knowledge and connection I could have had with history and its effect on a present that I could feel but could not name, but also cheated in the ways I was taught what beauty was, and I still do. You will be glad to have added this book to your shelves. I will be glad, too. Our community will be better for it, our childhoods, our art, our future poetry. Please. II. 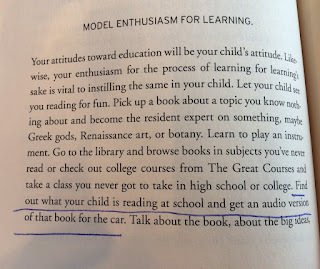 Some thoughts on reading to children about topics that are not "pleasant" or may seem "impolite"
Now, I know that many parents have trouble approaching subjects that are uncomfortable, whatever uncomfortable is for their family, whether that's racism, religion, atheism, god, reproduction, sexuality, gender identity, death, war, hate--you name it. I know this discomfort exists not only because I grew up in a rural town whose way of relating to each other often seemed to necessitate avoiding anything considered "impolite", but also because I volunteered at the public library as a kid and encountered parents who censored their children's reading, and because I have taken, and taught, many children's literature courses and been privy to student concerns and debates about what children's books are "appropriate" for children and which books should be avoided, censored, or not even published. Such discussions are, I think at the heart, about what kind of society we "should be" imagining. 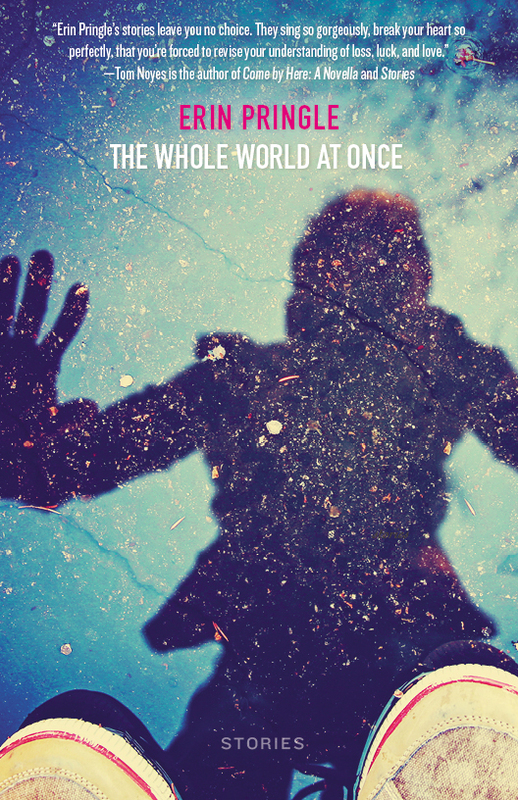 How will a particular book get us closer to utopia, or keep us in not-utopia? Should children read books that make them cry? Should children learn about poverty? What of children who are living poverty, and not in a place that is estranged from it? What of unhappy endings? What of only happy endings? What of books with parents who die? What of books that only represent disability when the book is about disability? 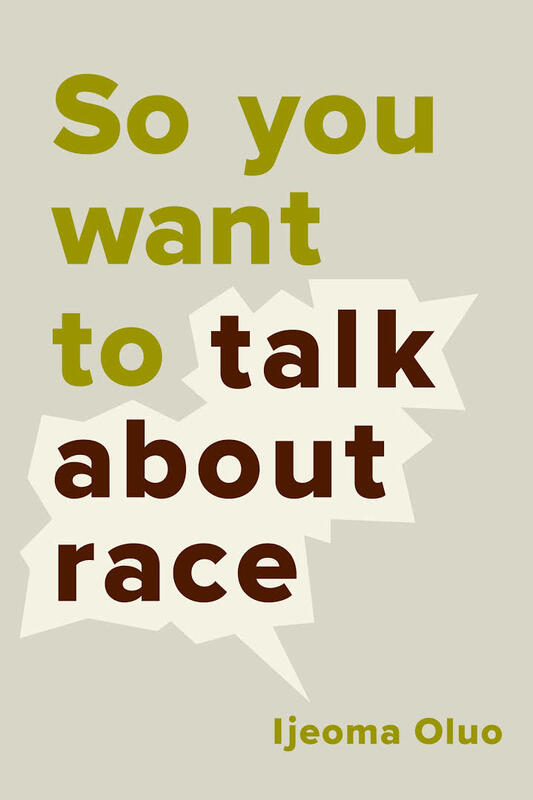 Why does a family who lives racism and its effects daily have to discuss race every day while families who do not experience racism think they have a choice of when the appropriate time would be to discuss race? These are important discussions to have, certainly, because these are discussions about what reality is, who we are, whether our experience of reality, or our perspectives on it, are created by what we learned or what we experienced or what is good or what is not "polite." They're also questions spurred by wondering what effects our parenting (and teaching and neighbor-ing and grandchild-ing) will have on our children, and what effects our own experiences of being parented have had on our lives today. 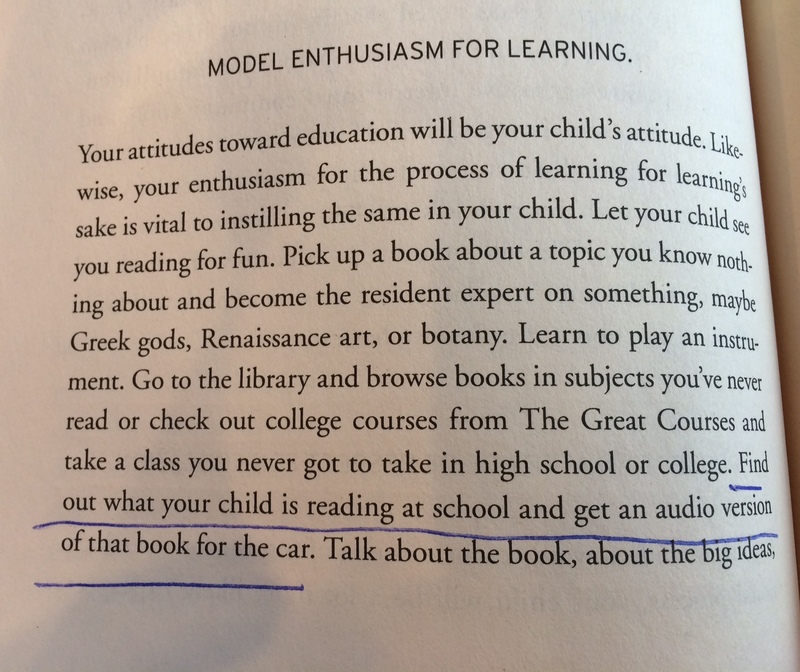 As a parent, I have found that I know so much more about my son, his thoughts, his interests, his concerns, and his way of approaching life, because of wonderful books and topics I've found difficult to initiate. I would not know him as well if I avoided wonderful books or avoided conversations that hurt my feelings, or conversations about issues that I don't feel fluent in, or conversations whose path I cannot imagine, or conversations on topics that I did not have as a child myself. I also would not know myself as a person or parent or community member if I avoided these discussions. I know this because every time my son and I speak openly and honestly about what troubles us, as we try to understand it together, I leave the conversation with new ways of finding myself and our family, friends, and neighbors in the world. And I wouldn't have otherwise. But it hasn't been easy for me. How to explain reproduction to my three-year old who wants to know? But then I say the word uterus and the word nest, and cup my hands to show him. And isn't there beauty in that? How do I explain god when he asks? And I say some people believe, and some don't, but god is an idea that people have to explain who made everything. It is a beautiful idea, I realize, though I don't believe it. How did Martin Luther King die? he asks one day and then another day and again at bedtime, and yesterday at the coffee shop. And I say, People killed him. A group of people decided to. With a gun, I say. What's a gun? he says, and I find myself holding my hand like a gun, my finger aimed away from him while he eats his blueberry muffin. I show him pictures of guns on my phone, explain to him what bullets are, how they work while behind us, the barista makes espresso drinks for people on their way to work. Bullets put holes in people, I explain. And I think, Bullets put holes in people. What? How is this true? We live in a world where we put holes in people. So do our children. And I need people to explain this fact to me as much as he needs me to try to explain this to him. So, I try. In November, I joined a book club begun by the director of the Montessori school my preschooler attends. 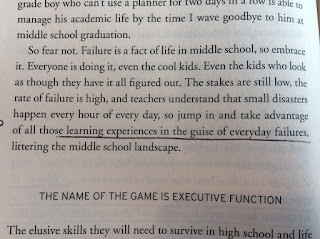 The first book we read, and finished discussing last night, was The Gift of Failure by Jessica Lahey (Harper, 2016). 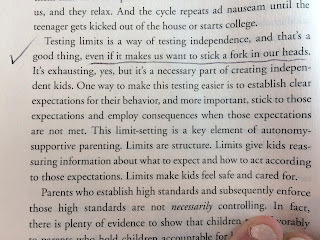 The actual subtitle of the book is "How the Best Parents Learn to Let Go so their Children can Succeed." That works, sure. 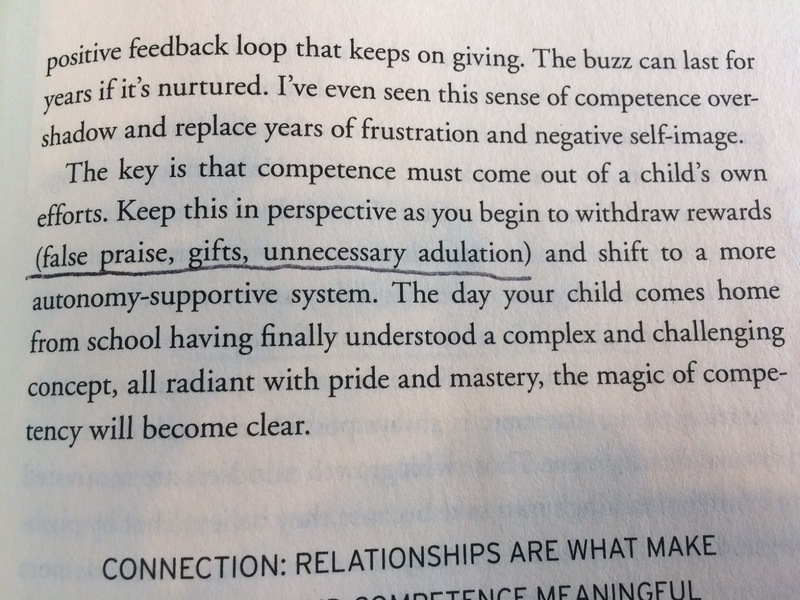 I would subtitle (or sub-subtitle) the book "The Ways You are Micromanaging Your Child's Life, Why You Must STOP, and How to Begin Supporting Your Child's Independence with an Eye on Autonomy, Whether Your Child is 2 or 17." 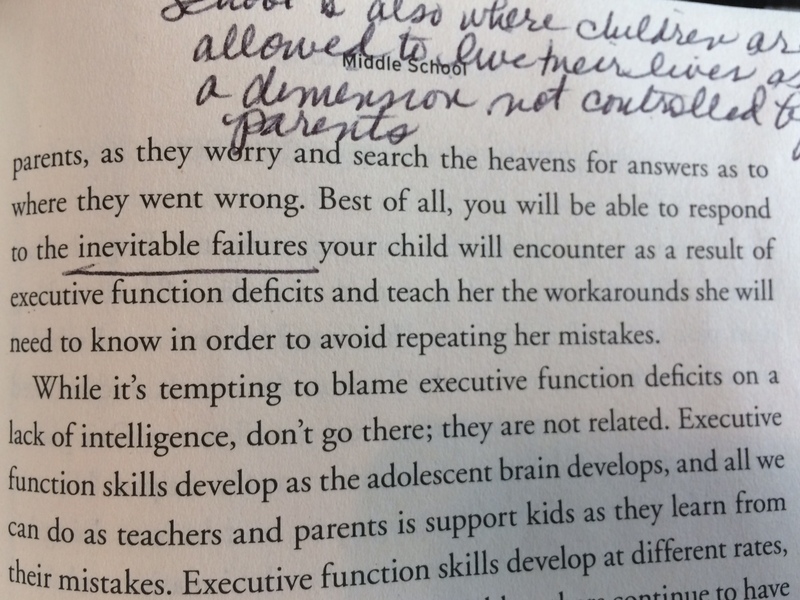 Or, maybe, "How to Stop Doing Everything for Your Child because How will they ever Learn: Magic isn't a Thing"
Or, maybe "Eventually, Your Child Will Resent Your Overreach, so Let's Take a Moment and Reflect"
Or, "How to Encourage Growth, Independence, and Autonomy in Your Child through Learning and Goals, and the Necessary Mistakes that will Come with Them"
Clearly, I'm not in the publishing-side of the writing business, but these pretty much sum up the theses of the book and why the book is super useful, and I love it. I have a tendency to micromanage everyone, not just my child. Evidently, I'm not alone. Our family has always been Montessori-minded in our choices of how to support Henry's growth, so this book falls in line with that parenting and educational style. 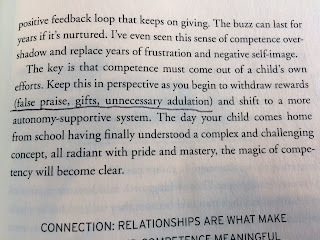 A reader who has not yet embraced, or touched toe in the ocean of encouraging child autonomy (and doing it), would likely find this book overwhelming. But to be overwhelmed isn't as uncomfortable as wondering how to encourage a child's independence and not knowing how to. 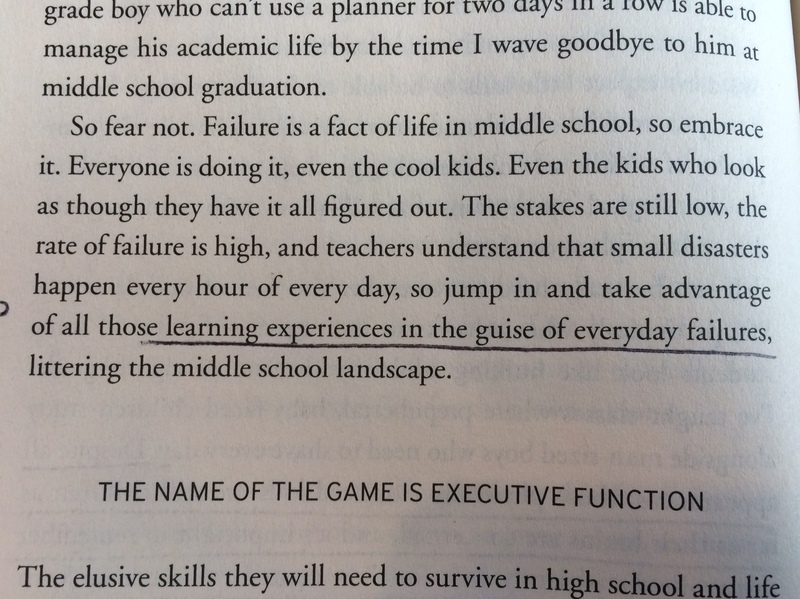 The Gift of Failure is written by an educator and mother, and while its primary audience is middle-class (or, parents with time and money privilege), any reader can absorb the teaching philosophy and adapt it to their lives. Sometimes, the writer gives an overview of the history of education, or refers to it, and it's always the history of the education of white families; the history of education for people of color, people with disability, and people in the working-class are not included. 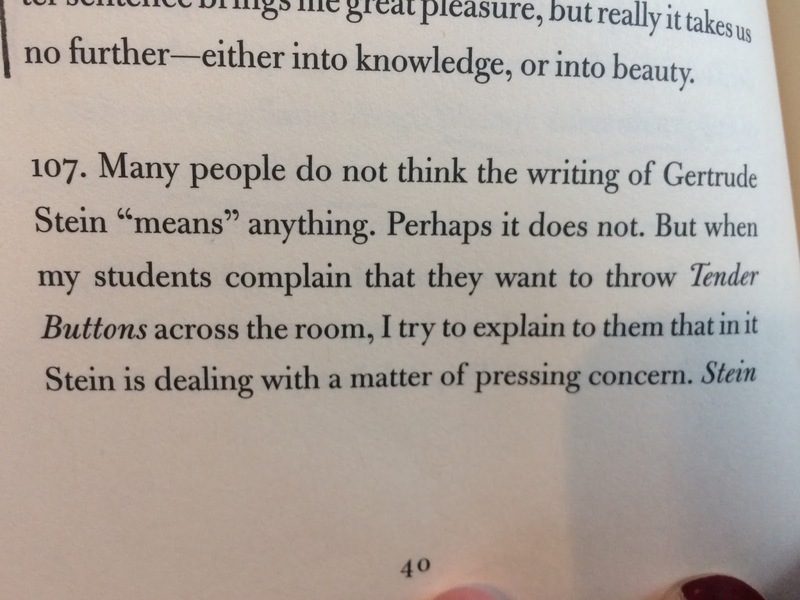 So, any history of education is generic New England-centered. Which is typical, I guess, but I think should be noted. While the book is not a definitive history of education in the United States, I do wonder why a historical overview of education is even included if it's to be so generic and limiting in whose education is overviewed. In the same vein, I didn't grow up in a middle-class home, so I felt more aware of/outside of some of the cultural norms/assumptions of the middle-class. But, frankly, I was glad to learn them and it helped me better understand other parents I interact with. In terms of style, the writing is clear and accessible. The book improves a great deal, after about Chapter 3, once the writer has fulfilled the genre expectations of a book on education (historical overview, applicability, etc.). As soon as she starts providing specific anecdotes to illustrate her points, from her own parenting experience and in the classroom, she's in her element. Don't skip the first three chapters--just be patient. 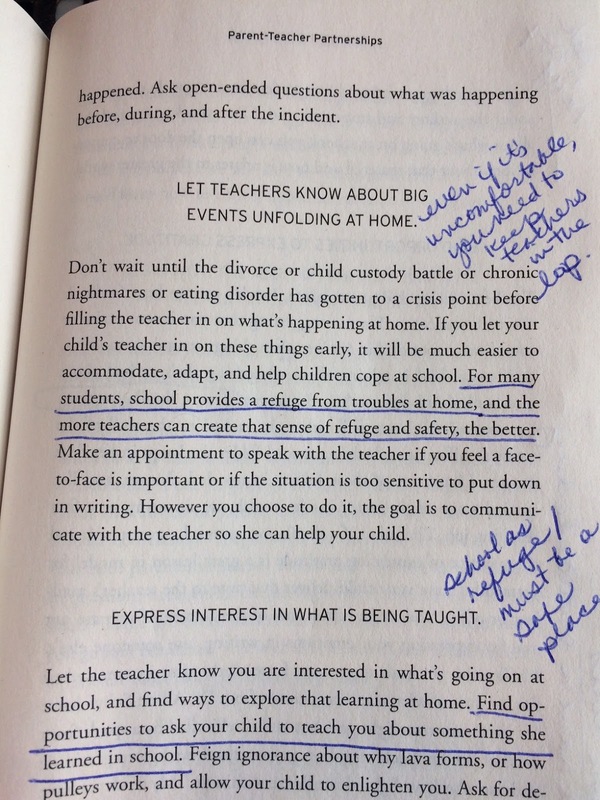 Although the book is geared more toward parents of children in kindergarten through high school, it has positively affected our family's parenting style, almost immediately, we have become more nuanced and purposeful. I had not realized that Henry (newly age 4) was ready for the next level of independence and we had inadvertently been restricting him by supporting an independence he'd grown past. 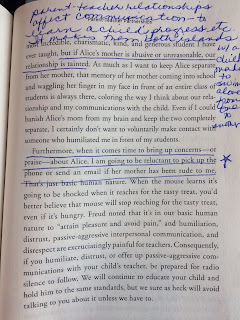 For example, while reading the book, I realized that our tendency to think Henry was stubborn and lately grouchy was not true--exactly, he was but not because of a growth spurt or new changes to his personality but the logical effects of his having his independence restricted and his decisions undermined. Now, I no longer make Henry's lunches. We're in month two of this and going strong. He has a lunch-making station in the kitchen (small table, food and container supplies within his reach and area), and he prepares his own lunches, from selecting the food, to storing it, to packing it (including installing the freezer bag each day). He has found this task incredibly enjoyable and well worth the time, patience, and effort he has had to summon in order to do this on his own. The result is that he now eats with more zeal at school, looks forward to discussing his choices with his friends and teachers at lunchtime, and takes part in creating grocery lists. He loves taking his own cart to the grocery to select his food from the shelves. This is unwittingly supported by other shoppers who have never seen such a thing. Now, he's learning how to ration his food, and the effects of eating all of his applesauce in two days and, thus, not having applesauce for his lunch for the rest of the week. It has been pleasurable to support this as a parent, has made our mornings easier because he understands what tasks need to be completed, and that time is part of that. Now, I am able to complete my own chores in the morning alongside him. The first day was jaw-clenching for me, but by day three, I was acclimating. He has learned how to cut strawberries, take freezer bags from the freezer, make a sandwich, and select what he thinks will satiate him at school. After reading this book, I have taught Henry how to mop and how to set the table for dinner. At school, he was already setting his own place at the table for lunch, but I was not continuing that skill at home. Now, he sets the table, enjoys selecting placemats, and lighting a candle. He has begun making dinner as well, and we hope he will have one day a week he makes dinner for all of us. And the joy he gets from controlling his own world is SO worth everything. But this is only working because I read The Gift of Failure. Henry isn't a unique kid, just a four-year old who thrills in controlling his own life to the extent he can. 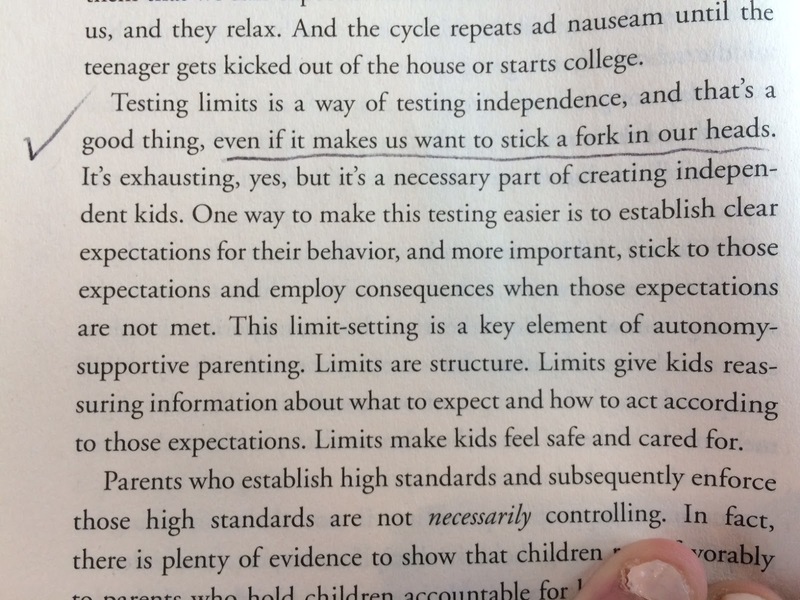 This is the sort of book that will divide your life into how you parented before and after reading it, even if you've already endorsed a style of parenting that is independence-oriented. It will inform decisions you make, give you the patience to keep your mouth shut when your child is about to make a "mistake" or "fail," help confirm or disavow ideas you had or had inherited from your own parents, and overall, support your own independence as a parent. The writer "thinks through" phases of learning that you might not have encountered yet, or fully considered, and so it's helpful in that way, too. Of course, you won't find everything in the book applicable to your own family and children, but that's to be expected and not the point. 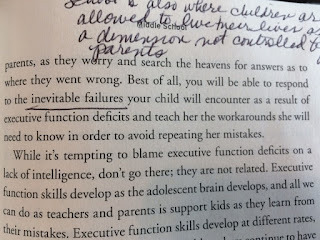 While H is our only child, other parents with multiple children found this book worthwhile, too (maybe because independent, self-sufficient children make a larger family function much more smoothly than overly dependent children whose inability to do tasks overwhelms the adults or older children). 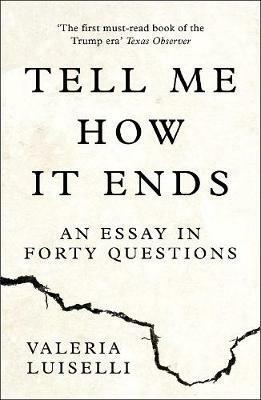 As a former teacher of college students, I'd recommend the book even to parents of a college-aged person if you act on the desire to control their lives, from their living decisions to homework outcomes, to interactions with their professors; please read this book--even if you are paying for part, or all of, their tuition. 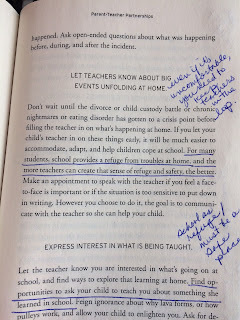 It's also a useful read for educators (from preschool teachers to college professors), as it will help you better understand why your students have certain behaviors or expectations, ways to encourage independence in learning in the classroom, and how to approach parents (or help the student approach their parents) so that everyone is sharing in supporting the child's growth and learning. 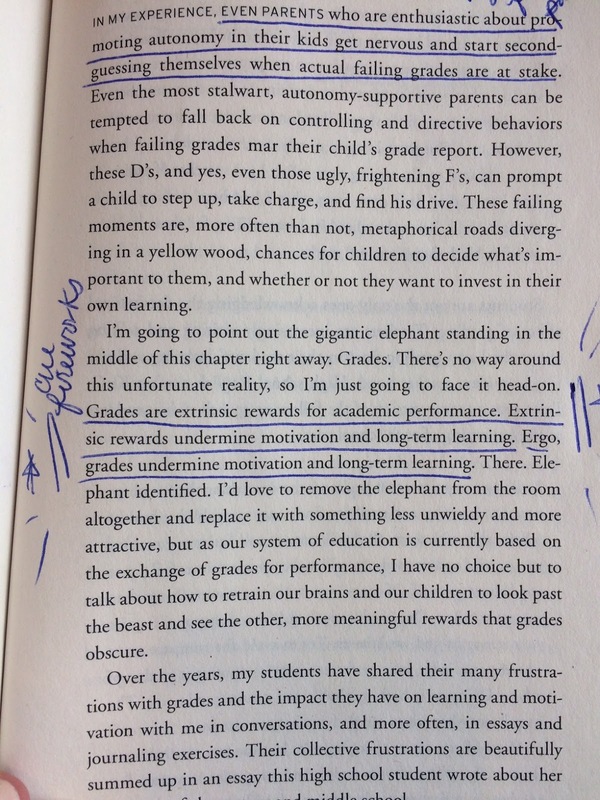 Paying your kid for good grades? What?! I had just begun reading Hola and Goodbye when I met Donna Miscolta in Missoula, on a panel at the Montana Book Festival this past autumn. The audience, we, and our panel talked about unhappy endings, reality, to be or not be a woman writer, death, words, fairy tales, folk tales, and more. I continued to read Hola and Goodbye, which is a blend between novel and story collection--a narrative, then, that follows a family from the 1930s to the present-day, after they first move to the United States. Each chapter is a story of a family member's life on the advancing generational timeline. 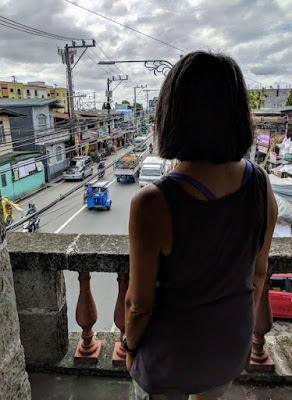 My reading experience of Hola and Goodbye was one of reveling in the unwinding history and the constant, yet fleeting, connection such a narrative provides, as characters age, live, have their own children, and then are seen through the eyes of their grandchildren--generation after generation. 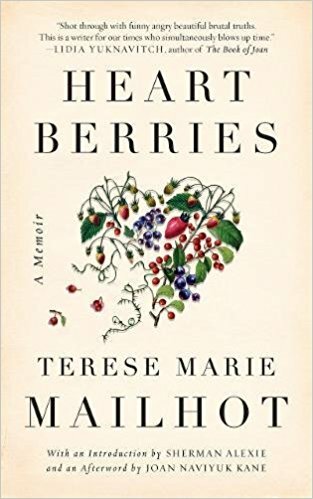 Such books provide a perspective on the world that reminds us of our simultaneous connections to each other, mortality, and the fading of those connections. I enjoyed knowing a story that promised another story, and the constellation of lives that every one character's story contained. And when I had finished the book, I did what I've always longed to as a reader, begged the writer to let me interview her. Thankfully, she agreed. What follows is my interview with author Donna Miscolta. 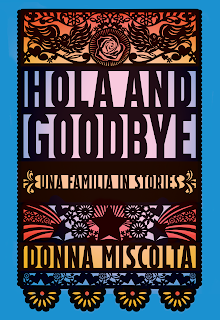 About Donna Miscolta: Her short story collection Hola and Goodbye was selected by Randall Kenan for the Doris Bakwin Award for Writing by a Woman and publication by Carolina Wren Press in 2016. It won the Independent Publishers gold medal for Best Regional Fiction and an International Latino Book Award silver medal for Best Latino Focused Fiction in English. 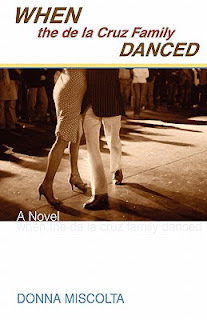 She is also the author of the novel When the de la Cruz Family Danced (Signal 8 Press, 2011). 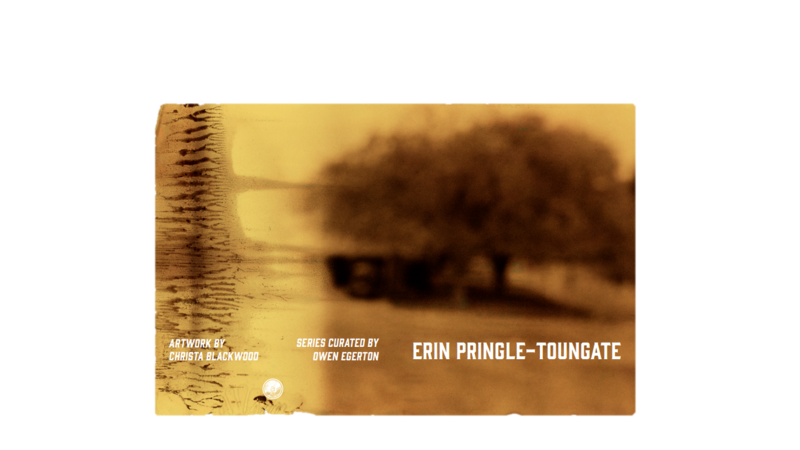 Her work has appeared in a variety of journals, most recently in Moss and Blood Orange Review. Q: Your book Hola and Goodbye is a deep examination of a family whose story begins with Lupita and her husband beginning their adult lives in the United States. I understand that you wrote these stories over a long period of time, over a decade, which seems to account for the depth and complexity of the work. How did you achieve the patience that such a project seems it would require? DM: I was writing these stories while I was working on my first novel When the de la Cruz Family Danced, so it was more like two decades spent drafting and redrafting these stories. Whenever I needed a break from the novel or when an idea for a story occurred to me, I would turn my focus away from the novel to these shorter works that offered a more immediate sense of completion and accomplishment. As for patience, I always knew it would take a long time to complete a manuscript, and though I would sometimes wish I was done already, I think I was accepting of the protracted and seemingly endless process. A lot had to do with working a full-time job, and at the time I started writing, my two daughters were very young. The moments I squeezed in for writing each day amounted to a half-hour or even an hour after the kids were in bed. I’m a slow writer. I’ve never experienced that zone of mad and furious creative frenzy. I’m very much a plodder, but a disciplined one. So, I think that was the key for me. Just going at it every day, knowing that eventually I’d come to the end. Thank you for your comment about the depth and complexity of the work. I think that came over time. I was learning more about craft, taking workshops each summer from writers I admired and continuing to read as much as possible to see how others constructed their stories and novels. This allowed me to both think deliberately about the elements of fiction and to learn to trust my instincts as well as my experiences as a reader. Q: Do you find families themselves interesting or was this family interesting to you in a unique way? DM: I find all families interesting. I like hearing about and reading about other people’s families. Writers, I think, are necessarily voyeuristic. The family I wrote about intrigued me for a number of reasons. The circumstances were similar to those of my own family – the immigration from Mexico, the loss of Spanish over generations, issues of identity and belonging. In fact, several of the stories arose from an anecdote or event I’d heard or observed in the lives of my family members. Of course, once that seed of truth made it onto the page, it bloomed into fiction. That was the fun and fascinating part – seeing how my own underlying emotions about family merged with how the characters and conflicts arose on the page. I felt both a loving and questioning eye on them, at their bonds with each other, at their betrayals of themselves or their dreams, at their intentions and the outcomes that fell just short or failed altogether. Q. One of the assumptions, or perhaps myths, about families is that they provide connection, comfort, and safety. Many of the members of this family seem to experience their family as the tension and conflict in their lives, whether it's the immediate or extended family. 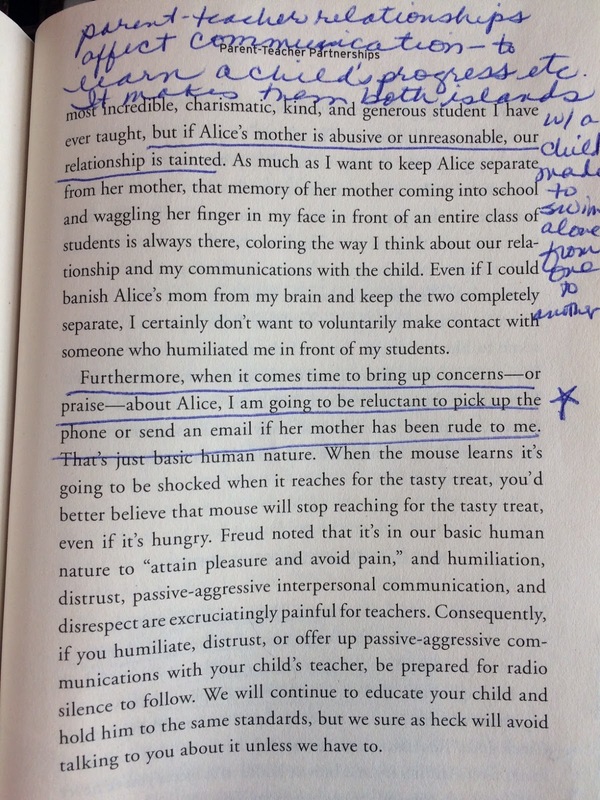 The mothers don't always love their children, or maybe they do, but they don't find their children interesting--to the extent that one mother is repulsed by her daughters because they are so far from the "ideal" female. The women seem in sort of a damned-if-they-marry-for-love and damned-if-they-marry-for-stability. Family seems to be a myth they followed as fact, and now that they see the myth of it, use the idea of family in order to maintain their lives as they simultaneously wish to flee. Even Lupita, the matriarch, by the end of the book is used as a prop for the myth as her grandchildren set their babies on her lap and take pictures. Would you say your book is a rebellion against the myth of family, or confirmation of the myth, or how would you characterize the book's relationship to family? DM: I think it’s a reflection of the messiness of family, due I think, to the mismatch between expectations (or myth) and reality. And, also, the expectations that culture and society place on social roles, particularly for women. I don’t think it’s a myth that families provide connection, comfort and safety. They can do that and at the same time cause embarrassment, discomfort, and pain. There are some families so dysfunctional that they are a menace to the well-being of some of the members and that’s sad and horrifying, and the only answer for survival is escape. But the family in Hola and Goodbye doesn’t reach that level of dysfunction. Theirs is more a normal dysfunction, if that makes sense. Love can be confounded and muddied by thwarted dreams, lost opportunities, and confining social roles. All of this can be exacerbated by underlying values from an immigrant culture that may not fit easily in the adopted culture. When the mothers in these stories don’t appear to love their children, it’s often an issue of them trying to love themselves in a world in which they feel undervalued and even unloved. Q. I think your book reveals that family becomes more difficult to experience, whether that's being a member of one or rejecting one's place in one, when the family shares a cultural identity not shared with the majority of families whose values and myths shape what everyone's supposed to want. This seems to be one of the tensions in the book that every character is dealing with directly or indirectly. Could you speak to this, maybe in terms of your own childhood experiences or your observations of your own mother or as a mother yourself? It just seems like such a complex situation, being part of a family and then becoming the mother of one, too, when there are so many tensions and identities at play. DM: Yes, that’s a very good observation, and I alluded above to that a bit – the complexities that culture and tradition bring to the already fraught family relationships. I think we often are very deliberate about making choices that differ from our parents and I think we can be a bit unforgiving or at least critical of the decisions they make on our behalf. For instance, the Spanish language didn’t make it past my mother’s generation. My mother and her siblings saw no need to speak Spanish to us. They saw it only as a means to communicate with their mother. For a while I think we too considered it as a relic of some other time and generation, but eventually we saw it as something denied us. On the other hand, I think my generation was intent on having lives different from our mothers – college and independence, things that were not available to them because of economics and attitudes. With my own daughters, I made it clear early on that college, travel, and independence were givens. I think my mother was a little disapproving, or at least questioning, of my parenting. Our differences were generational but also reflected our respective distances from the immigrant experience of my grandmother. Families are organic things, always transforming and adjusting and sometimes it’s hard for some members to understand the others. We’re all moving at different speeds and in different directions. Q. Rosa resonated deeply with me and is probably the character I will remember most because it seems like she had one shot at the life she wanted, and when her white boss uses the power dynamic against her, and shames her, she turns back to the cultural and gender expectations she'd been trying to avoid or surpass--and that, in turn, seem to crush her. By the end of the book, she returns to the narrative in such a surprising and sorrowful way. I guess I feel compelled by her story because no one seems to understand her. What drew you to creating Rosa? Q. Which character did you feel a deep affinity with, and in what way? DM: It’s hard to say. As I was writing each story, I felt deeply engaged with and attached to the main character of that story. A character who appears in several of the stories is Lyla, so I think that must indicate maybe not an affinity I have with her, but a fascination. In fact, since I’m now writing a novel about the twins from “Strong Girls,” Lyla as their mother is necessarily a part of the novel, and I’m really having fun further exploring her character, her relationship with her daughters, and her sense of self. She’s a woman whose dreams of success were dashed early, as were her attempts at living those dreams through her daughters. There’s a lot of pain and ambivalence in her, but also at her core is a love for her daughters that she really is incapable of expressing. Q. The last two stories of the book seem masterfully placed. Did you write these for the purpose of ending the book? I have a difficult time deciding what order to put my stories in, and find myself searching for tips, reflecting on other books, albums, and so forth. 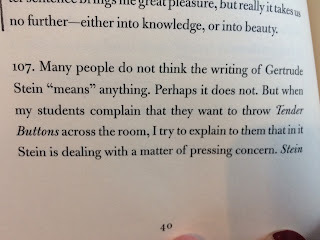 So, I'm always interested in how other writers decide how to organize their stories. What was your method with this book? DM: After I wrote the first few stories, I realized the collection would be a generational thing. I wanted to contrast the lives of the immigrant generation with the lives of the first and second generations born in the U.S. I wanted to look at what was sacrificed, what was lost, what gets taken for granted. Given the generational structure, it wasn’t too hard to order the stories. However, within each section I did have to give some thought as to which stories should come before others. I did write “Cursos de Verano” with the intention that it would end the book. My idea was to begin the book with Lupita having crossed the border from Mexico into the United States and end with her granddaughter, Julia, crossing the border into Mexico. The story “Sunday Dinner” was originally a quite different story, and I had placed it in the first section of the book and then later took it out because it wasn’t quite fitting. It focused on the long friendship between Lupita and Rosa. Eventually, I realized I wanted to close with a story like “Sunday Dinner,” but I knew it had to go beyond the friendship of these two women and focus on Lupita’s role in the family. I wanted to show how it had changed over the generations, to show how someone in our midst can be made to disappear because we are consumed with our own needs and wants. Q. I'm always interested in a person's reading history. I remember my grandmother getting ready for bed by slicing an apple or orange, then taking the bowl and a book to bed. What memories from your childhood do you have of others reading? DM: Though they made books available to us kids, my parents never read much, or at least, I seldom observed them reading. I think they just didn’t have time. My older sister and I read all the time. We went to the library every Saturday and when we could, we bought books through the Scholastic book orders at school. I remember my sister and me, lying on our twin beds, reading and reading and reading. Almost like a competition, something like a communing. Q. Hola and Goodbye has been published for a year now, and you've been doing a lot of publicity events, from readings to panels to signings. Of these events, which one did you find most fulfilling, or was there a particular moment that resonated the most with you over the year? DM: I found them all to be really fun and each rewarding for different reasons, but two were especially delightful. Once was being part of an artist series at the library in the city where I grew up. National City, just south of San Diego, is the inspiration for Kimball Park, the setting for much of my fiction. The National City Library was a vital part of my childhood and I have a particular affection for it, so going back there to read from and talk about books I had written was a special pleasure. The other event that really resonated with me was a panel I participated on at the Los Angeles Latino Book and Family Festival. There were three of us on the panel: me of mixed Mexican and Filipino heritage who had grown up hearing Spanish but didn’t speak it, a writer who had recently arrived from Mexico and was not quite fluent in English, and a bilingual Salvadoran/American. The audience was largely bilingual. It was fun how the discussion slid back and forth between languages. Also, the make-up of the panel reminded me of the level of Spanish vs. English fluency of each of the generations of the family in Hola and Goodbye. Q. Do you have another writing project in the works? DM: I have two novel manuscripts in progress. The one nearest completion is called The Education of Angie Rubio, but I may change the title since several published works with similar titles already exist. The novel depicts the lessons about life, race, and identity a Mexican-American girl learns while growing up in the sixties and seventies. Two of the chapters have been published as short stories in lit journals – “Help” in The Adirondack Review and “First Confession” in the Santa Ana River Review. The other novel project is based on one of the stories on Hola and Goodbye. I mentioned earlier that I’m taking the twin girl wrestlers in “Strong Girls” into adulthood. The novel will explore such issues as body image, self-hood, and sisterhood. Q. Who are three writers everyone needs to read? DM: I think I’ll answer that by talking about three (or more) writers that have been important to me in terms of my development as a writer and a reader. 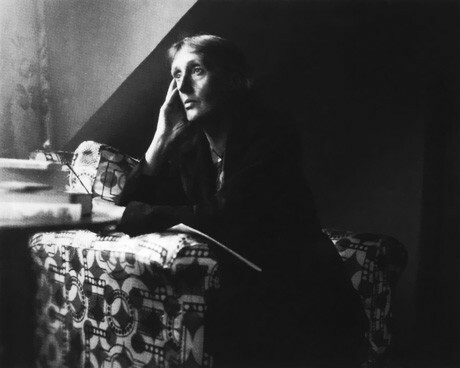 In my early twenties, a good fifteen years before I decided I wanted to be a writer, I read quite a bit of Virginia Woolf. 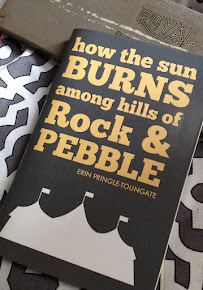 What struck me was the emotions she could evoke in her writing by detailing, through the poetry of her language and the shape of her sentences, the seemingly small moments that were in fact substantial, weighty things. Several years after I began writing, I happened upon Nobody’s Girl, an early novel by Antonya Nelson. Her flawed, quirky, often unsympathetic characters appealed to me because they seemed so thoroughly human. Also, the humor that infused the scenes underscored the complexity of the characters and their relationships with one another. I’ve read many of Nelson’s books since Nobody’s Girl. 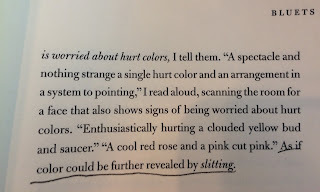 I’m a fan of humor in stories – the subtle, organically educed kind more so than the overt hijinks kind – which is why one of my favorite books is So Far from God by Ana Castillo. It’s also a story steeped in Chicano culture and history, magic realism, and feminism – all of them integrated into and in the service of the story. One other book I’ll mention is one that is recently out and which I reviewed for the Seattle Review of Books. 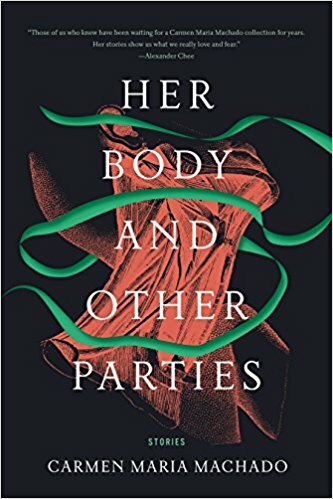 It’s Carmen Maria Machado’s story collection Her Body and Other Parties. It’s innovative, inventive, lush with beautiful language, and daring. It inspires me to look at my own work and consider new ways of approaching subjects that interest me. Read. Read read read read read read read. Read outside of your comfort zone. Read your favorites over and over. Read genres that are new to you. Read the classics. Then, imitate what you read until you're not imitating anymore. It’s advice worth heeding from someone worth reading. "Meet Green Lake Author Donna Miscolta"